In this extensive tutorial, you will learn how to install an SSL Certificate on FileZilla server. If you haven’t applied for an SSL Certificate and passed the CA validation, stay tuned. In the first part of this article, we provide step by step instructions on how to generate a CSR code on FileZilla. We’ve also dedicated a few paragraphs to FileZilla history and versions, as well as to the best place where you can buy affordable SSL Certificates for your FileZilla Server. Use the links below to jump between different sections of this tutorial. Where to buy the best SSL Certificate for FileZilla? 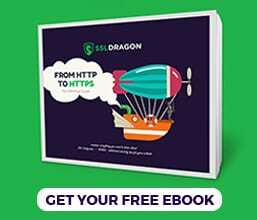 Your first important step when dealing with SSL Certificates is to create a Certificate Signing Request (CSR) and send it to the Certificate Authority (CA). The CSR contains your contact data encoded in a block of text. After you submit it to the CA, the SSL issuer will verify your website or company identity and sing your SSL Certificate. Note: Replace the “server” attribute with the actual name of your server. After you submit the CSR to the CA and complete the validation process, your SSL files will arrive right into your email inbox. You will use them during the SSL installation. Your private key. This file should be on your server, as you’ve created it along with the CSR code. Note: If you’ve followed our instructions and generate the CSR code using OpenSSL, you may leave this field blank. Click OK and then restart your server. Congratulations, you’ve successfully installed an SSL Certificate on FileZilla. After you install an SSL Certificate on FileZilla server, the first thing you should do is check your installation for potential errors. We recommend using these highly efficient SSL Tools, designed to give you instant scans and reports on your SSL Certificate. FileZilla is a popular free software, cross-platform FTP application comprising of FileZilla Client and FileZilla Server. Developed by Tim Kosse, the first FileZilla release dates back to June 21, 2001. FileZilla Client is available for Windows, Linux, and macOS, while FileZilla Server runs only on Windows OS. You can check past releases here. To help you find the ideal SSL certificate, we built two efficient SSL tools. 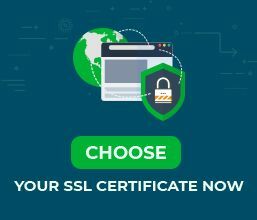 Our SSL Wizard can recommend the best SSL deal for your online project, while the Certificate Filter, can help you sort and compare different SSL certificates by price, validation, and features.